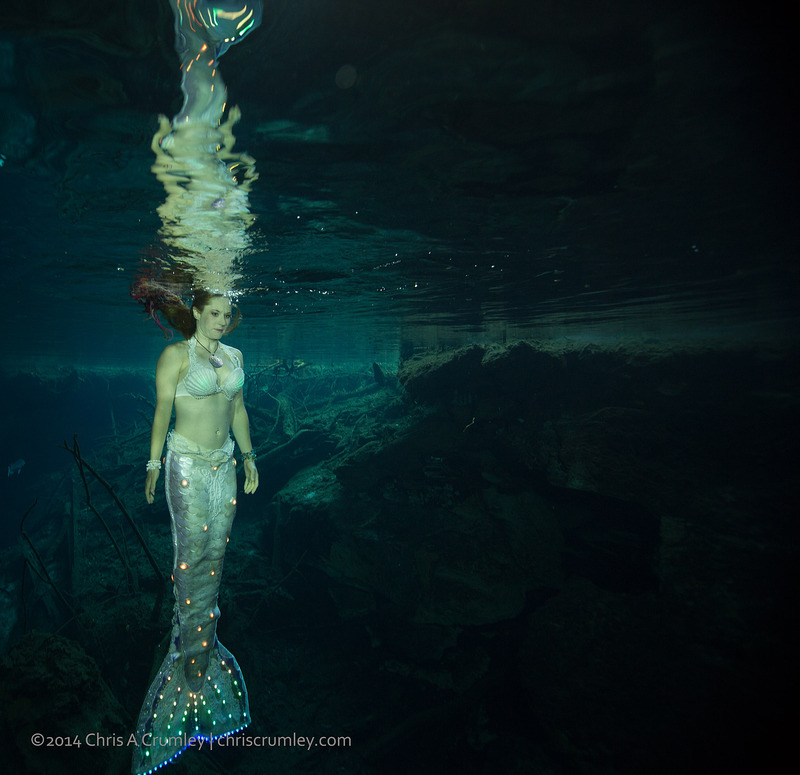 Blog 606 - Mermaid Portfolio Workshop - Cenote Session at KuKulKan cenote. Mermaid Portfolio Workshop - Cenote Session at KuKulKan cenote. Tail: By Erin with digital controlled lights -- with Erin St Blaine.